Within our church we offer a huge range of activities and programmes for children. These are open to all children from right across our community. 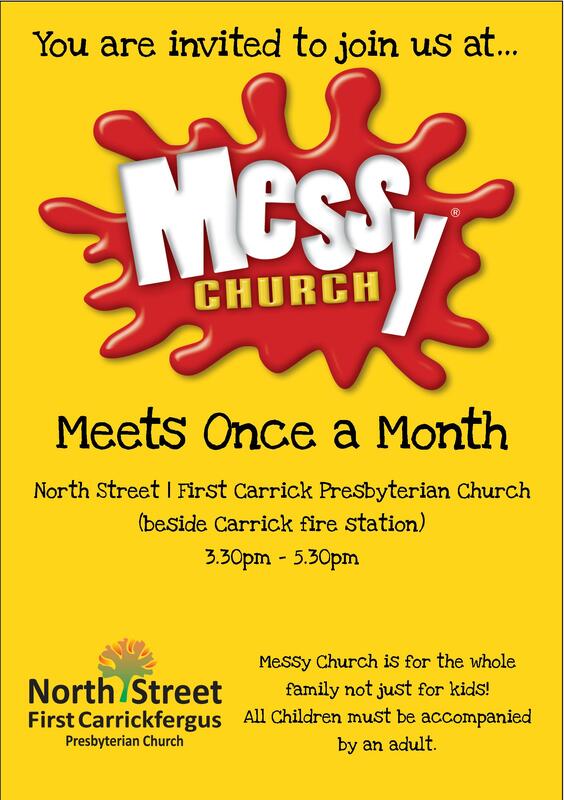 MESSY CHURCH meets once a month in our Church halls. It happens 3.30pm - 5.30pm, it's not just for kids it's for the whole family! All children must be accompanied by an adult when attending. We have lots of fun with stories, craft, games and a meal together. It's a great day for the whole family. We offer a fantastic Chreche during our morning services on Sundays for all babies and toddlers under 3 years old. We have lots of toys, snack time and lots more. Promiseland is fun and interactive, teaching biblical truth in a relevant way. It meets in the Church halls during the morning service. Promiseland is for those aged Pre-School to P7 (age 3 - 11). Tuesdays from 6.30pm -7.30pm in the Coffee Bar. We invite all boys and girls of primary school age to come and join with us. We have a full programme that includes singing, quizzes, drawing, stories, shipwreck, learning God's Word and hearing about our missionaries. Meets on Tuesdays from 10am-12pm. Provides an opportunity for parents to have a chat and for babies and toddlers to enjoy play time in a friendly environment.